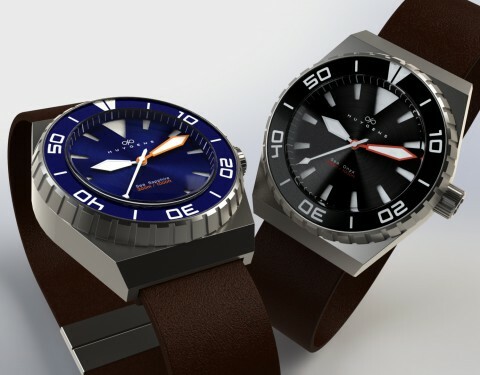 I designed this dive watch together with my brother Tim. 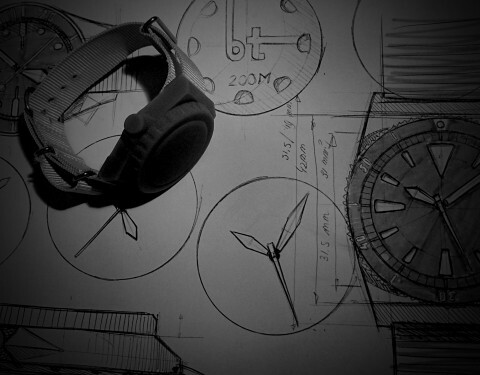 We used other watches, new and vintage ones, as inspiration for our design. We made use of 3D-CAD programs and 3D printing to establish multiple prototypes. 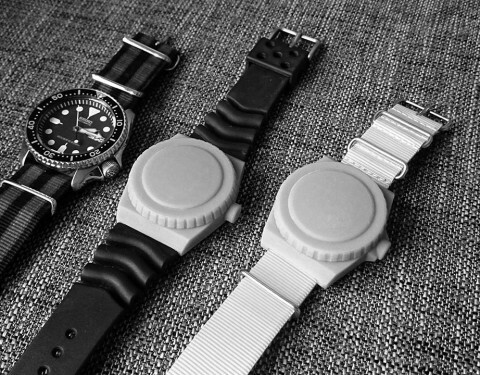 3D printing has given us greater insight in the dimensions and the design of the watch thus far. The brand name is called Huygens named after Christiaan Huygens who was a prominent Dutch mathematician, scientist and inventor who lived in the 17th century. He is known particularly as an astronomer, probabilist, physicist and horologist. One of his most famous inventions is the pendulum clock which was a breakthrough in timekeeping. 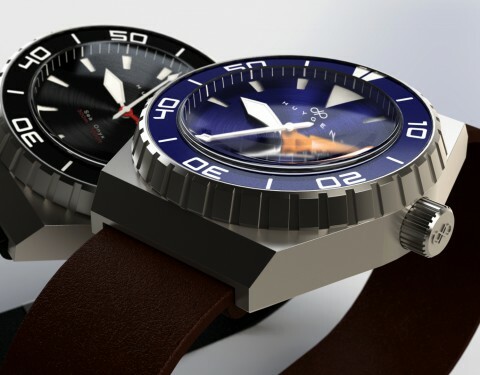 The dive watch is named after its sapphire blue color and sharp angular shapes. 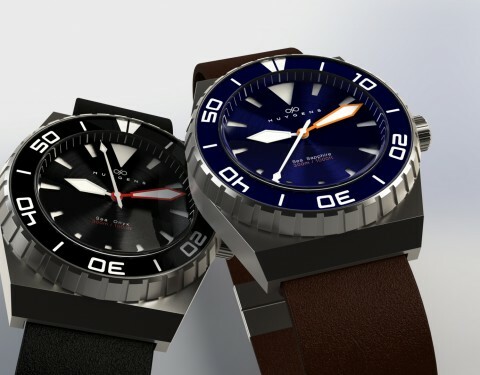 Its design is inspired by great dive watches from the past. Therefore it encompasses various vintage elements, such as the double domed sapphire crystal and the large guard-less crown. 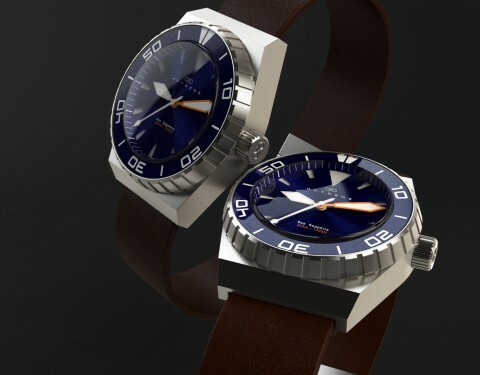 Moreover the watch features an unique sunburst sandwich dial that refracts the light in a spectrum of blue colors. This classy and sophisticated look is complemented by a sapphire crystal bezel insert. However, the brushed stainless steel case does make the watch look modern, robust and tool-like. This is emphasized by its boxy shape with hidden lugs. The high bezel has a conical shape and is executed with large ridges. The crown has a knurled surface for that extra grip. All hands, the lower dial and even the bezel indicators feature a thick layer of blue lume. We have also introduced a Black version, the Sea Onyx, also named after a gemstone just like the blue Sea Sapphire. The watch is waterproof to 1000ft/300m and has a Miyota 9015, 24 jewels mechanical movement inside. It has a watch strap of 22mm and a lug to lug seize of 49mm and a thickness of 16mm. This product is work in progress and is therefore subject to change. 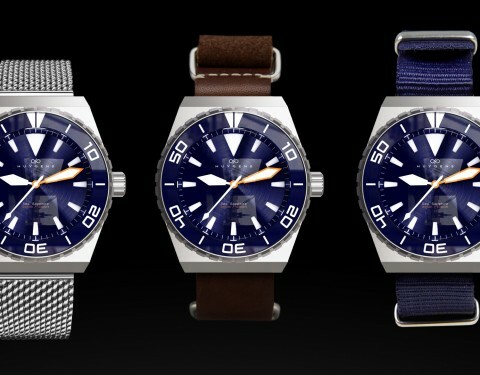 You can see a 45sec clip of the watch here and you can also visit our Watchuseek Forum Post to follow our progress.